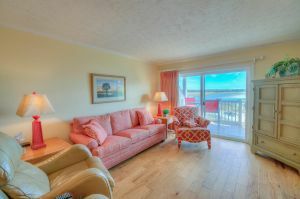 Cheerful decor and a nice view of the salt marsh are in store for you when you reserve Inlet Cove C4. 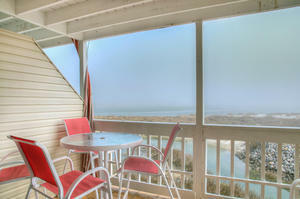 This beautiful North Myrtle Beach vacation rental is a top of the line condominium. 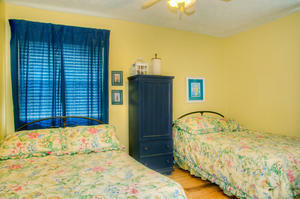 There are three bedrooms in this North Myrtle Beach vacation rental and two baths. 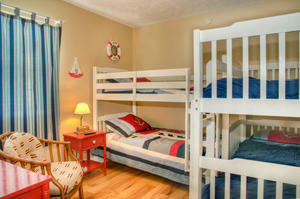 It is a condo rental that sleeps ten people comfortably. 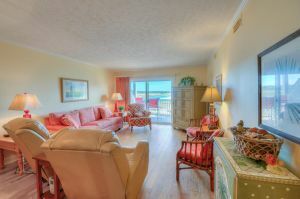 Inlet Cove C4 features a well equipped kitchen, a nicely appointed living room and a dining area. 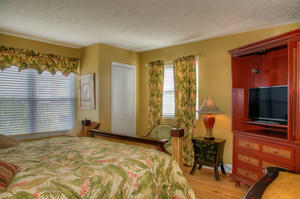 The master bedroom of this condo vacation rental is exquisite. 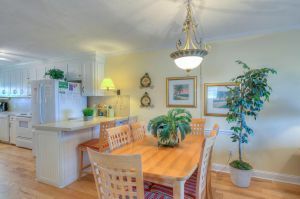 There are ceiling fans throughout this North Myrtle Beach, South Carolina condominium. 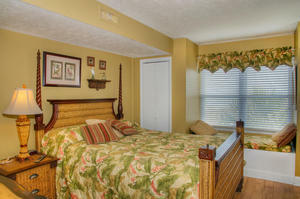 A convenient washing machine and clothes dryer is provided and there is also DVD players so you can bring your favorite movies with you on your North Myrtle Beach vacation. 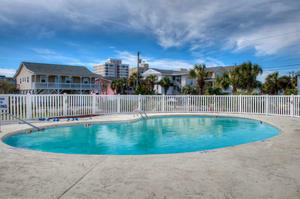 Outside at this charming North Myrtle Beach resort is a beautiful swimming pool. Take a dip into the pool on a hot day or walk across the street from this resort to the Atlantic Ocean for a good time in the crashing waves. A fishing pier, Myrtle Beach golf courses, seafood restaurants, outlet malls and more are just minutes away from Inlet Cove C4! 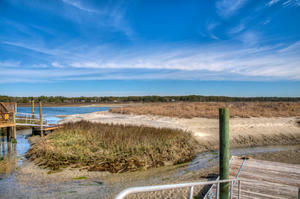 Be sure to check out the Cherry Grove Fishing Pier during your North Myrtle Beach vacation. Whether you spend your North Myrtle Beach, South Carolina vacation hanging out at the resort or exploring all that North Myrtle Beach, South Carolina has to offer, you will acquire a wealth of memories.